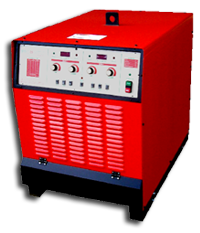 The ARC-3000 is a fully regulated stud welding power supply that is available in a single or dual gun version. 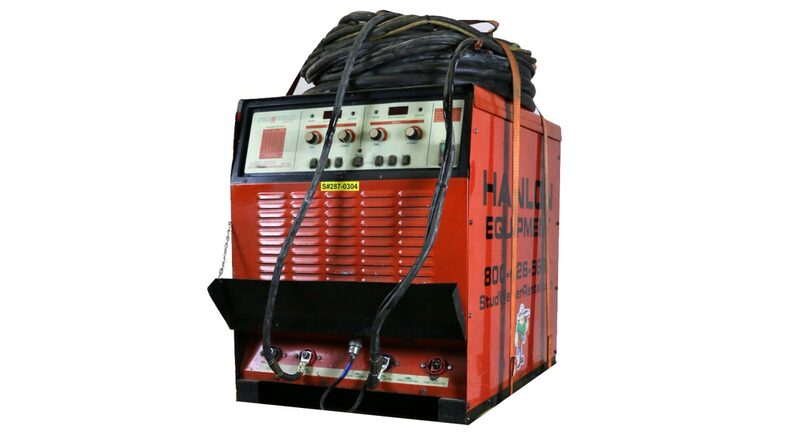 Both versions have the constant output feature that allows the unit to be used as a power source that can operate external stud welding control units. An added feature in the ARC-3000 is the ability to dial in the desired weld time and weld current before even making a weld. By selecting the setup mode, the weld time and current can be adjusted and displayed on the front panel digital meter. A specially designed electronic gun control circuit has been incorporated into the system. If a fault condition occurs due to a shorted gun solenoid or a faulty control cable, the circuit will prevent gun retriggering and eliminate damage to printed circuit boards. The ARC-3000 system is capable of welding studs from 1/4" diameter to 1-1/4" diameter with preciseness and repeatability.